We are an island nation, and throughout our history the sea has been inextricably mixed into our lives, whether we experience it as part of our immediate environment, learn about its place in our history, or trace its many marks on our language and literature. Images of the sea and seafaring metaphors sparkle and surge through our poetry and our idioms, and the sea exerts a pull of mystical romance. 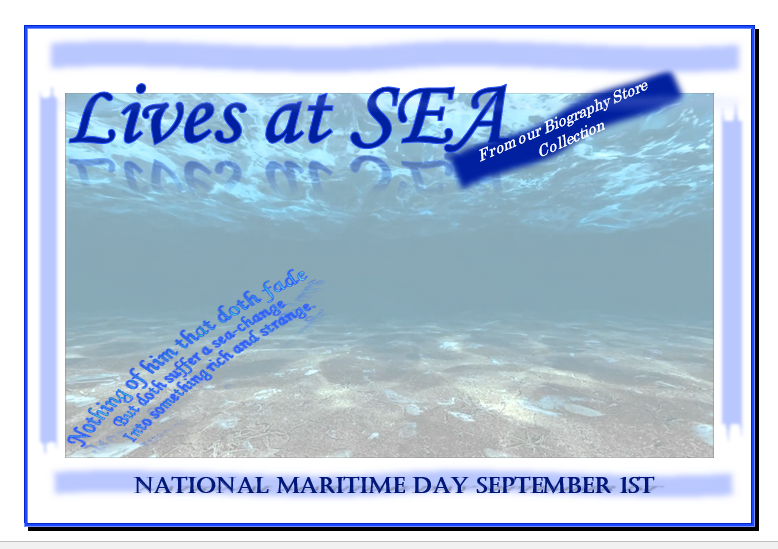 To mark National Maritime Day on 1st September, our Biography Collection display at Kensington Central Library features memoirs of lives at sea. There are books tracing how the sea influenced artists and writers including Conrad and Turner, and books recording the experiences of sailors and fisherman struggling to maintain a livelihood in often pitiless conditions. Many have been drawn to engage the sea in battles for supremacy, leading to amazing feats of endurance and will – these are the loan yachts-people, circumnavigators and channel swimmers who lead us through their life-changing struggles. 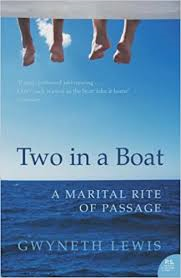 There are intimate and personal records of how the sea effected changes in relationships and the sense of self (my personal favourite is Gwynneth Lewis’s Two in a Boat, an account of how the superficially crazy idea of going to sea became a jumping-off point for profound insights into the nature of moods, marriage and metamorphosis). Our naval history is inevitably linked with painful themes of colonialism and war, and we have books on how projects of land conquest and trade depended on the conquest of the sea from the Elizabethan period onwards, and on how the protagonists of terrifying sea battles understood their experience. And of course, there are pirates, with brutal realities often far stranger than the romantic legends we have inherited. We hope you will dive in and find something to interest you. It’s fifty years since the first broadcast of that classic of British comedy, Dad’s Army, and this month our Biography Collection display at Kensington Central Library showcases the life stories of some of our funniest men and women. We have a truly enormous number of books celebrating the comic genius of stand-ups and sitcom stars. 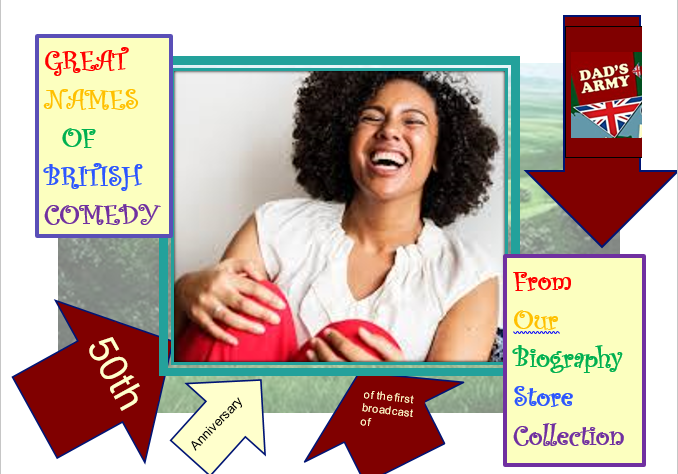 With intimate glimpses of the highs and lows of their real lives, we find that the tears of a clown are often a real phenomenon, while some stars have brought their comic talents to their own memoirs so that their trials and tribulations cause tears of laughter as we read. The vintage funny business is all here – from the Victorian double entendres of Marie Lloyd and the silk dressing-gown cool of Noel Coward, to the surreal capers of ITMA (It’s That Man Again), Round the Horne and The Goons and the even more surreal and subversive – and perhaps also quintessentially British? – comic kaleidoscope of Monty Python. I wonder if I am alone in finding Private Frazer’s mournful cry of “We’re doomed!” strangely reassuring – it’s interesting that over the years we have loved so may characters who express comic despair at life’s frustrations, with a special place in our collective psyche for the hapless melancholy of Tony Hancock, the car-thrashing frenzy of Basil Fawlty, the tightlipped defeatism of Victor Meldrew and the wailing lament of Steptoe junior as his father greets another faux pas with a malevolent toothless grin. There’s that traditional strand of social competitiveness, snobbery and one-upmanship to relish in many of our best loved characters too (Fawlty and Steptoe’s anguish has a lot to do with this, and think also of Hyacinth Bucket, Rigsby,and Margot). The “saucy” humour of the seaside postcard resonates in the Carry On era and Benny Hill, and British comedy has also always had a healthy disrespect for the institutions of authority, taking the wind out of the sails of power in Yes, Minister and of the criminal justice system in Porridge. Through the alternative scene of the 80s, shows like The Kenny Everett Video Show, Not the Nine O’ clock News, The Young Ones, The Comic Strip Presents and Three of a Kind all represented seismic shifts in comedy styles and pushed the boundaries of what made us laugh. More recent faces feature in our display too, like Walliams and Lucas, Mitchell and Webb, Miranda Hart, Michael McIntyre, Sarah Millican and James Corden – and there is no shortage of hilarious women – Wood, Windsor, and Walters; Lipman, Tate, French and Saunders, and many more. 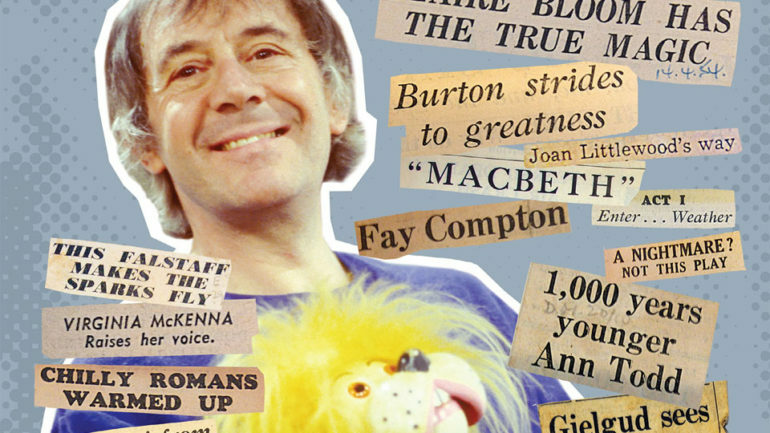 There are so many, many great names of British comedy, that I am already wondering how I could have written this blog piece without mentioning by name, for example, Tommy Cooper, Kenneth Williams, Spike Milligan or June Whitfield – and you will doubtless have your favourites who you can’t believe I have not included! 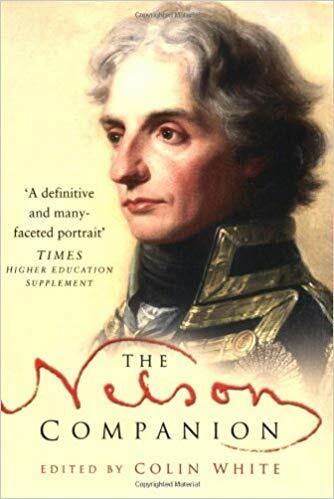 I am glad to say this embarrassment of comic riches is reflected in our Biography Collection, with our display representing the tip of an iceberg of hundreds or comic biographies. If you can’t find your favourite, just ask. Female medical students currently outnumber their male counterparts in the UK. This is a situation that would have seemed incredible to the earliest female doctors. In 1865, Elizabeth Garrett Anderson became the first British woman to qualify to practice medicine. (The first woman, that is, since Dr James Barry, who though born female, lived her adult life as a man so that she could practice medicine from 1815, her secret only being discovered after her death.) Even with her qualification, Anderson was excluded from work in any hospital. 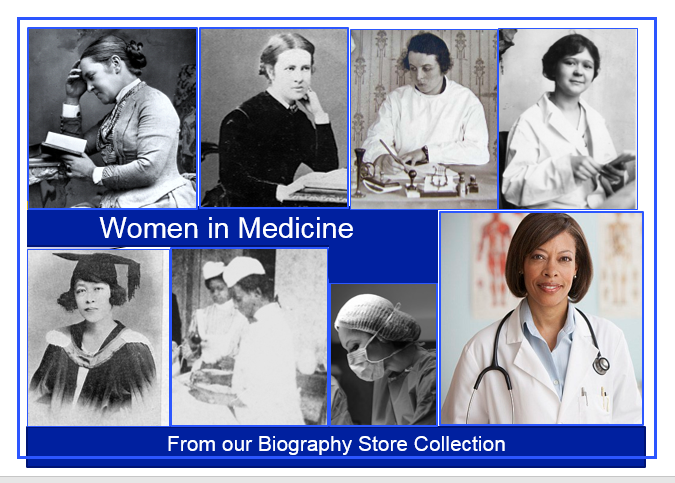 She set up her own practice and launched a remarkable career in medical work, and in the furtherance of women in the profession and in wider society. However, the battle for women to become doctors was very far from over. It is difficult for us to appreciate how strongly, and with what sometimes vicious misogyny, women’s entry into the profession was resisted well into the 20th century. A medical career was considered by the male establishment to be far too physically arduous and intellectually rigorous for any woman’s capabilities. All kinds of quasi-medical theories were propounded in support of this view – all the more bizarre when you consider that these were often expressed by highly educated men in the scientific community: they included the idea that too much study would cause a woman’s womb to atrophy. These prejudices were enshrined in the regulations of the most important medical institutions. During the first half of the century, women were still barred from training at the major hospitals – with the sole exception of the Royal Free, where Garrett Anderson had established the London School of Medicine for Women in 1874. Although for some women, the shortage of men during the First World War around the time that they qualified provided a timely career-boost, allowing them access to institutions that were forced in desperation to admit them. Between the wars, it was still common for job advertisements in the British Medical Journal to specify that women need not apply. Against this background, the achievements of the early female doctors are all the more impressive, and we are pleased this month to be able to display fascinating biographies and memoirs of many of them (from our Biography Collection at Kensington Central Library), as well as those of contemporary women doctors writing about the stresses and joys of their chosen career. 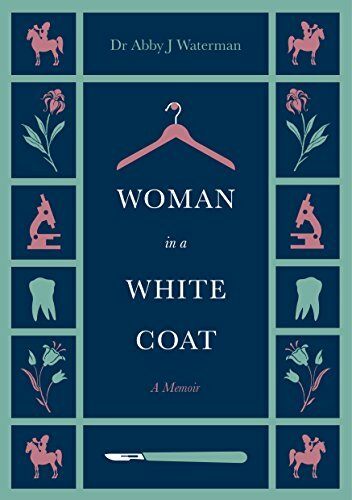 We are also delighted to tell you about an exciting event linked to this display: on Monday 18 June, 6 to 7.30 pm here at Kensington Central Library, Dr Abby Waterman will be discussing her compelling memoir “Woman in a White Coat”. This is a wonderful read which describes with great humour and honesty her journey from an impoverished girlhood in the East End to a wide-ranging medical career. 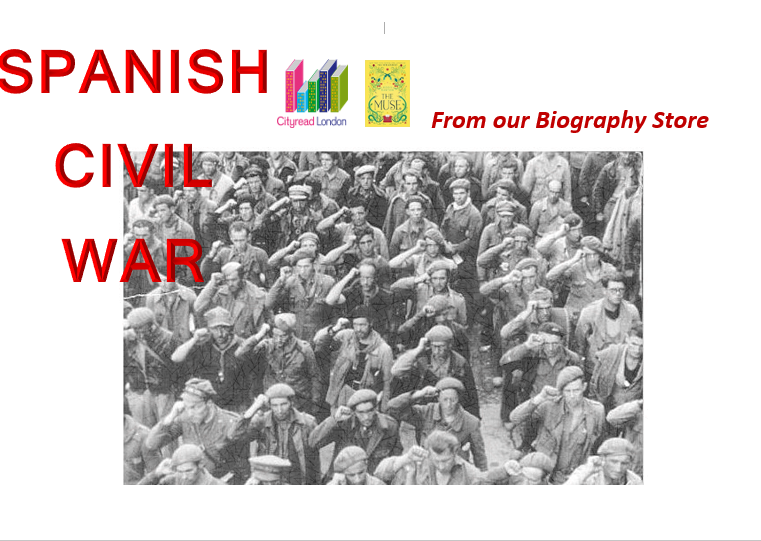 May’s display from the Biography Collection at Kensington Central Library showcases books related to the Spanish Civil War, as the Cityead London book this year is The Muse by Jessie Burton, a novel set partly during that time – and Cityread starts tomorrow, 1 May. Obviously, we have picked from our shelves biographies of major political actors in the conflict, such as General Franco and the Republican President Caballero, as well as cultural figures with an association with the conflict, such as Picasso and Lorca, along with commentators such as Orwell. But we have also found that we have a fair number of volumes by or about the many ordinary people who fought in the conflict, particularly those volunteers from overseas who joined the International Brigades on the Republican side. 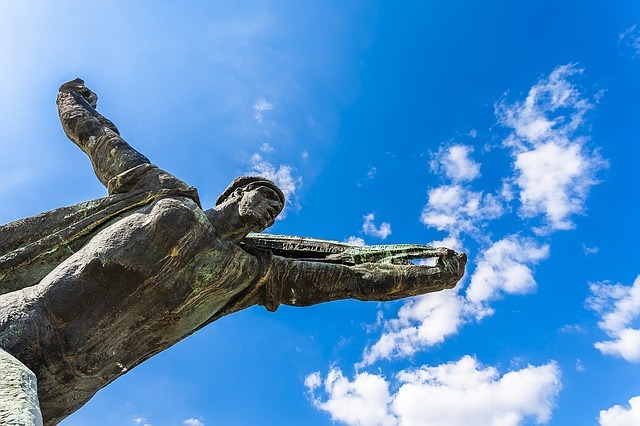 The Spanish Civil War is widely viewed as the prelude to the Second World War, happening as it did between 1936 and 1939, and consequently as predominantly a conflict between Democracy and Fascism. 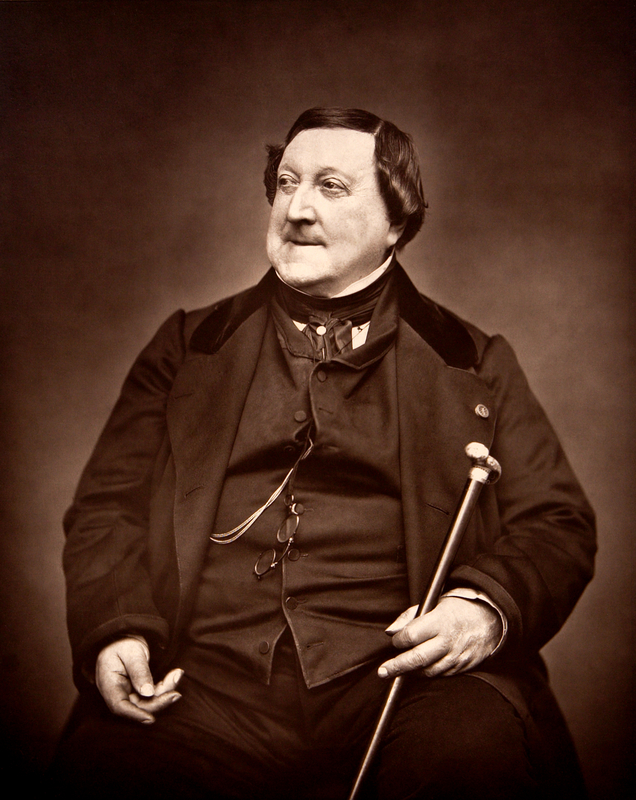 However, on closer examination, things seem much more complicated – so complicated that Biography Store team have almost despaired of writing anything brief and coherent on this topic. The history of Spain for the hundred or so years before the outbreak of the war is very complicated but arguably characterised by extreme internal instability following the loss of nearly all of the Spanish empire in the Americas by the end of the first quarter of the nineteenth century. This was followed by attempts to modernise in competition with the other European states on a new basis. But Spain remained very underdeveloped compared to these other states in the early twentieth century, economically, socially, and politically, so that the hardship suffered in the Great Depression led to fresh instability and ultimately the War. 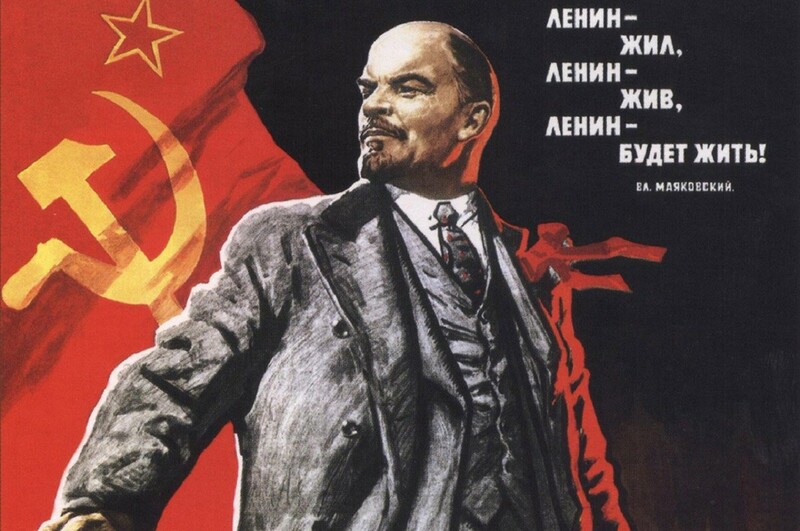 This was broadly between on the one side the conservative, pro-church, Army-backed “Nationalist” forces supported by Nazi Germany and Italy and on the other the Republican coalition of liberals, socialists, anarchists, and communists, which was backed by the Soviet Union, though the Republican side was far from entirely united. In this sense, one could see the war as a repeat (but with a very different outcome) of the Russian Civil War, rather than as a prelude to the Second World War. 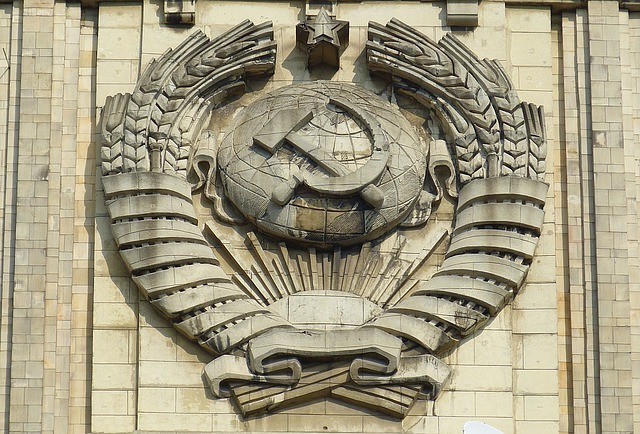 Nevertheless, the rather half-hearted support for the Republic by the Soviet Union and the non-intervention of the ‘Western’ powers can be seen as cautious foreign policy positions – wishing not to provoke premature outright confrontation with the Axis powers. Do come into the library and take a look, and also check out our Cityread London events that are happening this month. 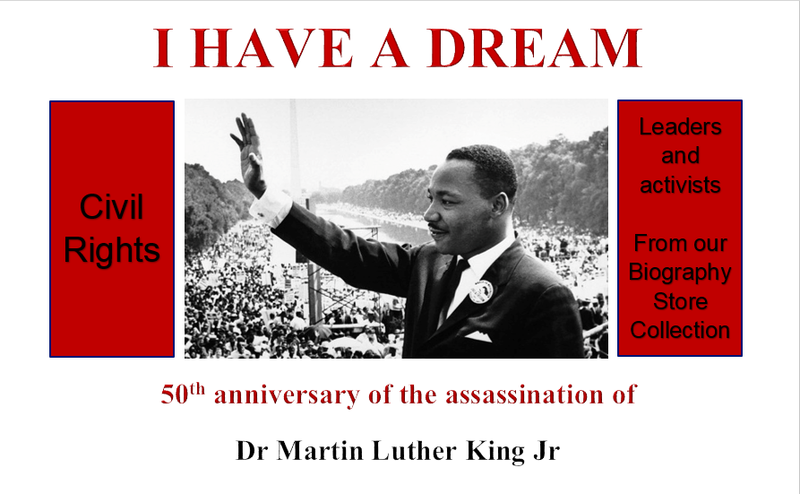 On 4 April it will be 50 years since the world was shocked by the assassination of Dr Martin Luther King Jr in Memphis, Tennessee. Our display of books from the Biography Collection at Kensington Central Library this month is about the African-American civil rights movement of the 1950s and 1960s, in which he was one of the key figures. When the movement began there already existed certain civil rights for black people in the US at a federal level; an issue was ensuring their enforcement by the federal government against the wishes of state governments in the South controlled by (rich) white people. These civil rights included various amendments that had been made to the US federal constitution following the American Civil War. These had ended slavery and given African-Americans citizenship and the vote (the last for males only, in line with the law for whites at the time). However, these legal equalities between blacks and whites could only be effectively imposed in the South by the use of force by the federal government in the face of fierce resistance, and once troops were withdrawn in the late 1870s , black people were gradually intimidated out of political participation, leading to a simmering compromise whereby slavery had been ended but Southern states passed local laws denying equal civil rights and imposing segregation, which were not effectively opposed at federal level. In the 1950s, this still unresolved conflict led to the civil rights movement. Segregation and systematic abuse continued to degrade and brutalise black people in the South; lynchings went uninvestigated, corrupt authorities advanced a racist agenda, and black people who had fought in the armed services during World War II against the most racist of fascist ideologies found on their return that they were treated as second class citizens in their own country. The civil rights movement achieved limited legalistic effects – limited, certainly with hindsight, because massive inequality in access to material resources partly along racial lines persists in the US as in all of human society at present. Like all campaign movements, the civil rights movement encompassed various strands, organisations, and personalities: Martin Luther King, with his Christian and pacifist tinged political strategy; the more militant Malcolm X, joining King’s organisation from the Nation of Islam; bodies of the organised working class and university students (these two in particular encompassing many whites); and many more. We have aimed in the books we have chosen to go beyond the better known figures, exploring the stories of many people associated with the civil rights movement in many ways. 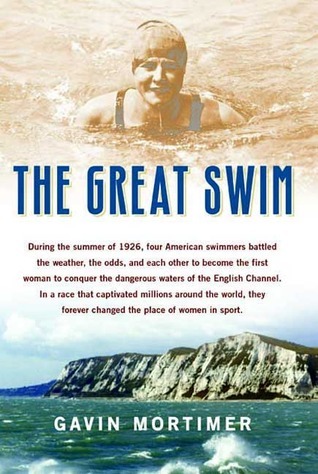 So, as well as biographies of King, Malcolm X and Rosa Parks, we have books on performers like Nina Simone and Paul Robeson, whose commitment to the struggle was interwoven with their art, and sports stars like Muhammad Ali and Jackie Robinson, who refused to separate their identities as world famous sportsmen from the injustices inherent in their experiences as black citizens. In the realm of very personal stories, we have James McBride telling the story of the marriage of his white mother to his black father against the backdrop of racial intolerance, Jan Carew recalls travelling with Malcolm X and their intimate discussions about his world view, and Charles Denby’s Black Worker’s Journal gives a detailed and evocative picture of life in a Detroit car factory negotiating the assaults of race and class prejudice. We hope this display will deepen and broaden our perspective on a movement which continues to reverberate. 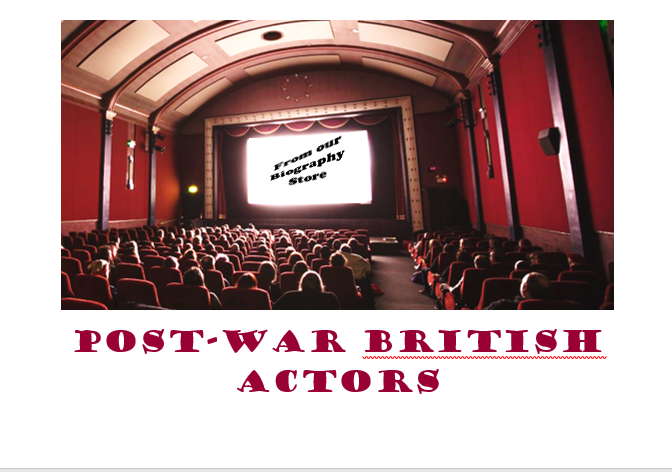 This month the theme of our Biography Collection display at Kensington Central Library is ‘Post-War British Actors’. From the iconic glamour of Elizabeth Taylor and Richard Burton to the compelling stories of more recent stars like Emma Watson and Benedict Cumberbatch, we have a range of fascinating biographies which give an insight into the worlds of film, theatre and TV as they have evolved over the last seven decades. It’s a huge field, but we are putting particular emphasis on actors who have written their own memoirs – several, like Dirk Bogarde, were gifted writers whose reminiscences have become classics, and Rupert Everett’s beautifully written memoirs contain some of the funniest scenes I’ve ever read! As it is Oscar season, we’ll also be including as many UK actors as possible who have been honoured with one of the world’s most famous trophies. 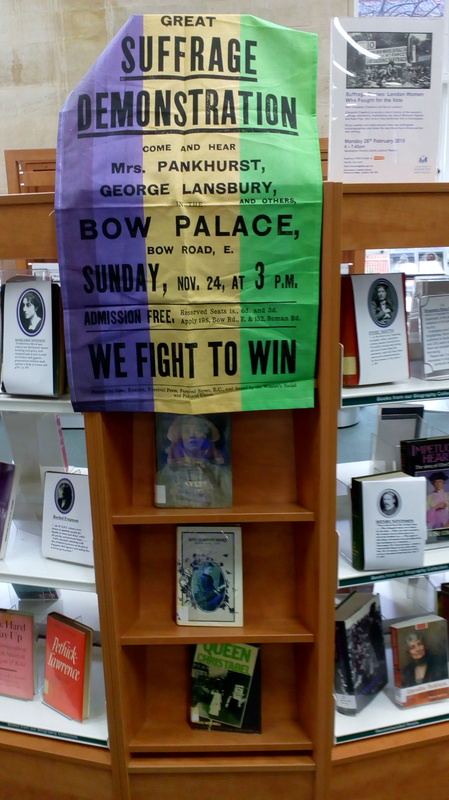 This month’s display of books at Kensington Central Library from our Biography Collection is to mark that 100 years ago today women got the vote for the first time. On 6 February 1918, royal assent was given to the Representation of the People Act, and for the first time over 8 million British women were entitled to vote. The original legislation enfranchised only those women who were over 30 and owned property above a certain value, or who were university graduates still living in the constituency of their university. (It took another decade for women’s eligibility to vote to be based on the same terms as men’s.) It was widely considered to be a recognition of women’s role in the First World War (as almost thirty years later, their role in the Second led to women being given the vote in France), but the change in the law was also preceded by several years of increasingly militant protest and agitation by women determined to end their exclusion from the democratic process. This month, we mark the centenary of this momentous legislation with a special display of suffragette and suffragist biographies from our special Biography Collection in Kensington Central Library. From the most famous names of the movement, like the Pankhursts, to working class women like Annie Barnes, campaigners for the female franchise left fascinating accounts of how they struggled and why. Picking up the resonance of the bitter conflicts of a century ago, we can also hear the voice of Mrs Humphry Ward, a passionate opponent of women’s suffrage. I was unable to put down, amongst others, the memoir of Lady Constance Lytton, who created an alter ego, complete with physical disguise, so as to serve her sentence in Holloway Prison without deriving any benefit from her aristocratic status. Her intimate, immediate account of the conditions of the suffragette prisoners as they were force fed, tortured by being hosed with water, and degraded with filthy clothes and bedding, is a deeply shocking reminder of how much was endured for the cause. One of the challenges we face with our Biography Collection displays is that some of our most fascinating books are hiding behind some of our least alluring bindings! Although we’re all familiar with the adage “never judge a book by its cover”, we are always looking for ways to entice potential readers to overcome their resistance to borrowing these less than beautiful-looking volumes. This has proved particularly true this month, with some of our truly compulsive suffragette memoirs looking, frankly, a little unglamorous. Our solution is to enhance these with a wrapper showing a picture of the author, and a quote from the text which will hopefully whet your appetites.